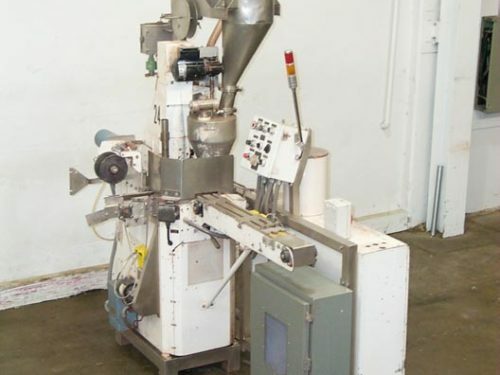 Fette Model P3000, 55 station "BB Tooling" rotary tablet press rated up to 495,000 tablets per hour – depending on materials and application. .Equipped w with force feeders, precompression and auto lube system, stainless steel table and keyed upper turrett. CAS analog controls w/Klimatek (lexan) enclosure: oil and compressed air, pre pressure and main pressure w/over pressure indicators. Tablets per minute indicator, clutch on, clutch off and clutch dragging indicators. Has SIKO gauge adjustments for tablet weight, thickness and punch entry. Mounted onheavy duty base frame. Customer to supply tooling.